Secure Blockchain platform enables trusted transactions connecting unlikely partners to alleviate poverty, clean up ocean plastic and advance circular economy. Under this initiative, IBM played the Connector role in work with The Plastic Bank which mobilizes recycling entrepreneurs from amongst the world’s poorest communities to clean up plastic waste in exchange for digital currency which they can use for life-changing goods and services; and advance circular economy – all backed by IBM Blockchain technology. The initiative incentivizes participants (individuals, etc.) to collect plastic waste which would otherwise be discarded due to its lack of value perceived by commercial recyclers. Under this initiative, the flow of discarded plastic to the ocean is interrupted, collectors earn a predictable income, and the plastic returns to commerce as a socially responsible material corporations can purchase to use in their products. The initiative is enabled by IBM Blockchain technology, a secure and trusted platform which tracks the plastic recycling process end to end – from quantities of waste collected, to credit and compensation to collectors, to engaging local institutions such as schools, municipalities, and businesses that accept the digital currency, till the delivery of social plastic to participating corporations. The initiative piloted in 2014 in Haiti. Today, it has 32 operating locations in Haiti and 27 locations in the Philippines, with additional locations being planned to open in Indonesia during 2019. The Philippines and Indonesia are ranked among the 3 top plastic polluting nations by the Ellen MacArthur Foundation , and Haiti ranks 168th on the UNDP Human Poverty Index . This initiative is transforming people’s livelihoods by giving them access to decent work and regular source of income while preventing ocean plastic pollution. Since 2014, over 2,000 collectors have returned more than 3 million kilograms of plastic waste to the recycling loop through this platform. Through its technology IBM connects the private sector, communities, government institutions and NGOs to collaborate for a global cause. IBM is one of the three key organizations behind The Plastic Bank initiative. 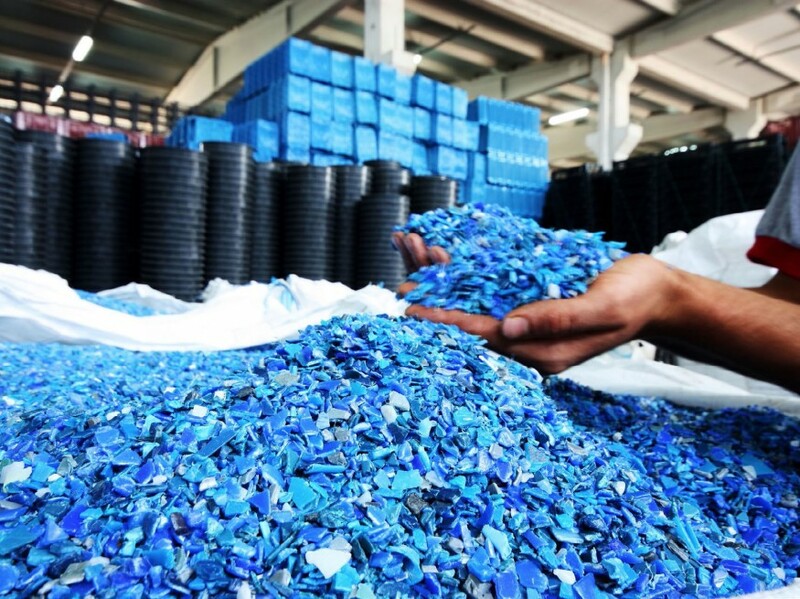 As the world’s leading cognitive solutions and cloud platform company for enterprises IBM Blockchain technology was at the center of the secure platform supporting the initiative and the solution implementing all components of the initiative’s plastic recycling process. IBM was also instrumental in securing participation of major corporations in the initiative and publicizing its innovative concept to broad audiences. The other two organizations are The Plastic Bank (https://www.plasticbank.com) and Cognition Foundry (http://cognitionfoundry.com).